The 2018 USA Basketball Women’s 3x3 World Cup Team’s (4-1) quest for the world 3x3 title ended Tuesday in Manila, Philippines, when Italy (4-1) slowed the USA’s balanced offensive attack and captured a 17-14 win in the FIBA 3x3 World Cup quarterfinals round. Italy went on to win the gold medal, defeating China 15-13 in overtime in the semifinals and Russia 16-12 in the finals. France, which lost 19-17 to Russia in their semifinal clash, rebounded to claim the bronze medal by defeating China 21-14. 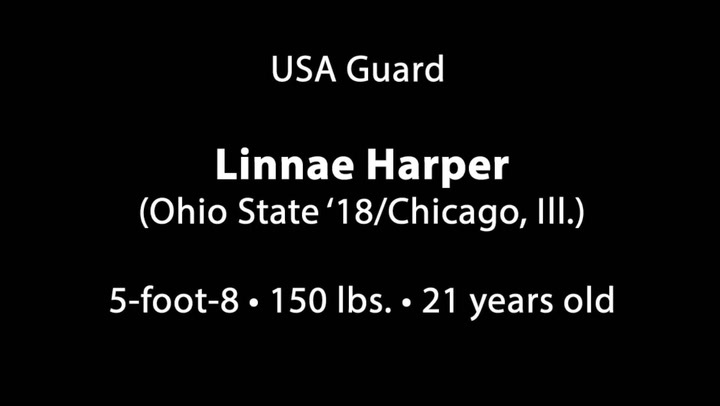 The 2018 USA Women’s 3x3 World Cup Team was comprised of four University of Oregon basketball team members: Erin Boley (Oregon/Hodgenville, Ky.); Otiona Gildon(Oregon/Spokane, Wash.); Ruthy Hebard (Oregon/Fairbanks, Alaska); and Sabrina Ionescu (Oregon/Walnut Creek, Calif.). 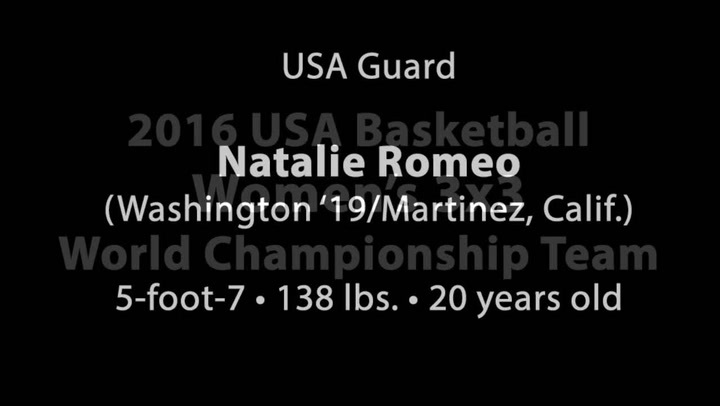 The foursome won the 2018 USA Basketball Women’s 3x3 National Championship in April to earn the opportunity to play for the FIBA 3x3 World Cup title. 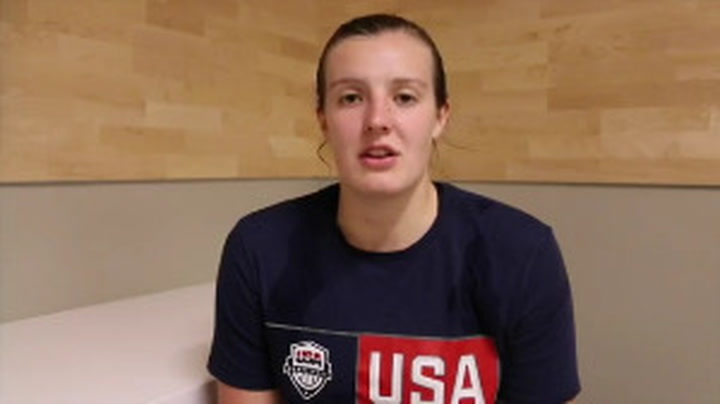 “We started out pretty slow and then just couldn’t get our rhythm,” said 6-foot-4 USA forward Hebard. “Italy is a great team, they have really good guards – respect to them and of course we’re really bummed. Seemingly out of sync offensively from the start, the USA’s 14 points were a low for the team in the championship and the only time the team didn’t hit or surpass the 21 point mark. Hebard finished the game with five points, USA guard Ionescu also recorded five points, while Gildon added three points and Boley scored one point. Called for two shot clock violations in its first three possessions, the Americans saw Italy slip out ahead 2-0. Hebard scored the USA’s first three points to tie the score 3-3. Italy regained the lead 4-3, but Ionescu connected on the USA’s only 2-pointer of the game to give the U.S. its first lead, 5-4. Italy’s Giulia Rulli answered right back with a 2-pointer of her own to leapfrog Italy back into the lead for good, 6-5. Adding three points to the scoreboard, Italy led 9-5 with 5:11 left in the game. Trailing 10-6, the USA’s Gildon and Hebard each accounted for two points to help cut the gap to 12-10 with 3:04 to play. But Italy’s Rae Lin D’Alie and Giulia Ciavarella scored back-to-back baskets to regain momentum and expand Italy’s lead to 14-10. With 1:05 remaining, Marcella Filippi drained a huge 2-pointer to up Italy’s lead to 17-12. The U.S. made one final push and behind one free throw from Gilden and one from Ionescu, cut the lead to three, 17-14, with 38.3 seconds to play, but that was the USA’s final scoring for the game. 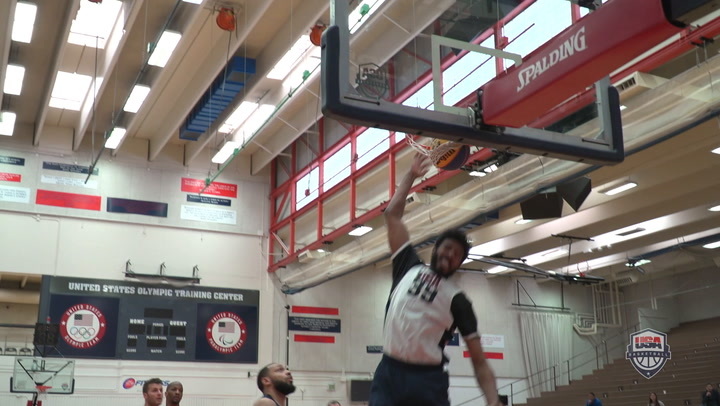 “This was a great experience,” stated Hebard, who won a gold medal with USA Basketball at the 2016 FIBA Americas U18 Championship and earned a silver medal at the 2017 FIBA U19 World Cup. “We shared a lot of time and I think it was great to be able to travel with your college teammates. Individually, we grew. “There were tons of fans here so it was great to play in another big environment, it’s great to try out different food and off the court make memories. We grew, we thought we could do better and we learned individually what we can do in the off season and hopefully we’ll get invited back and get gold medal next year,” said Hebard. In the day’s other quarterfinal games, Russia outscored Czech Republic (3-2) 21-14, France edged Spain (4-1) 19-17 and China fought off Hungary (3-2) 17-14. 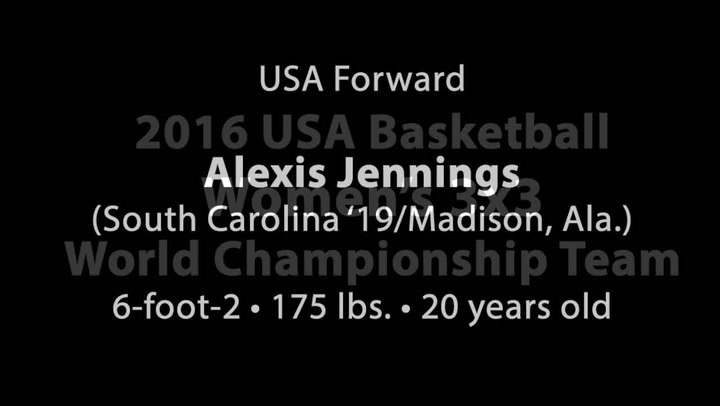 The United States women are now 27-3 all-time in FIBA 3x3 World Cup play. The USA won the event in 2012 and 2014, took bronze in 2016 and missed the event in 2017, when the FIBA 3x3 World Cup switched from an every-other-year format to an every-year format.